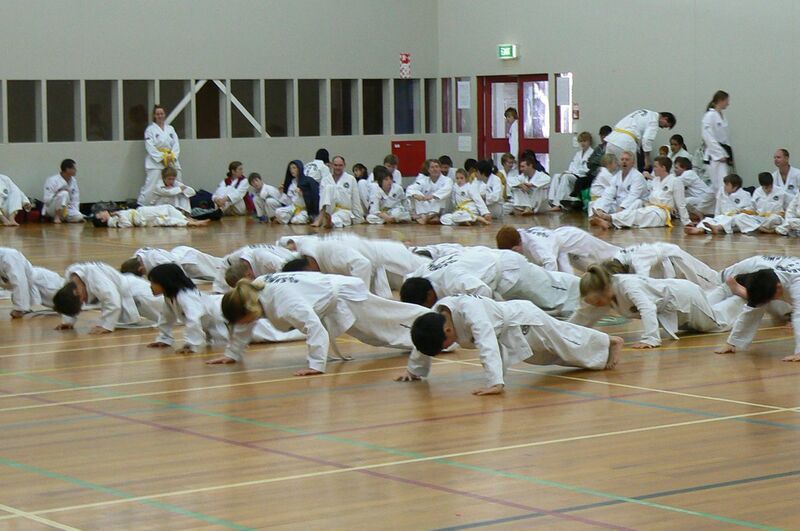 "Training Hard, Grading Easy; Training Easy, Grading Hard." 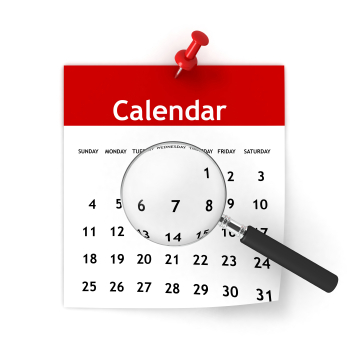 Click here to view upcoming events for the club. We train in a mixed age and rank environment, beginners are welcome to come along and try out the class, wear loose, comfortable clothing. There is a specific class for kids aged 5-8 with a targeted syllabus. Youngest members aged 4, oldest student is over 70! 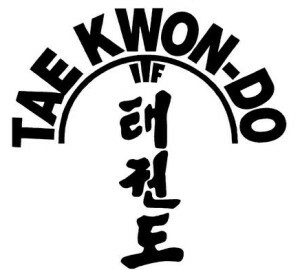 Taekwon-Do is a Korean martial art. 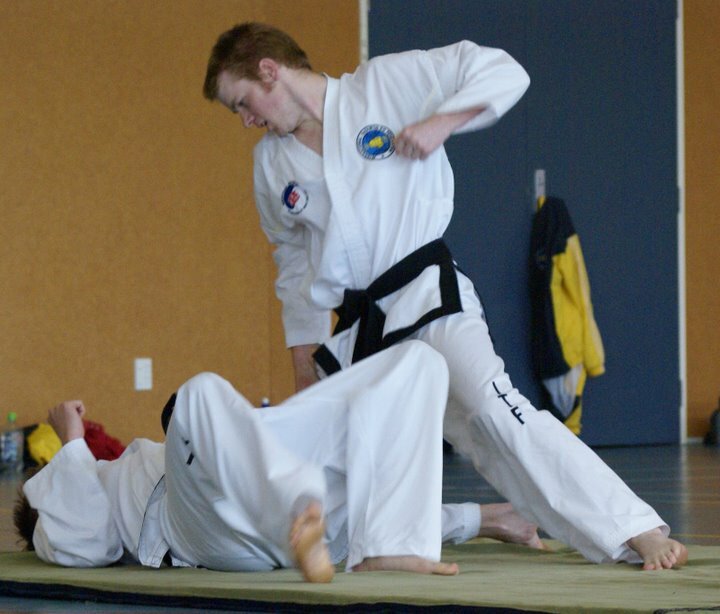 It is made up of different disciplines including fundamental movements, sparring, board breaking, specialty kicks, self defence and physical fitness. There is a focus in the syllabus on real world self defence techniques that would really work if required. Through conditioning of attacking and defensive tools and physical training students develop these over time. As a member of ITKD you will be eligible to attend various tournaments throughout the year. 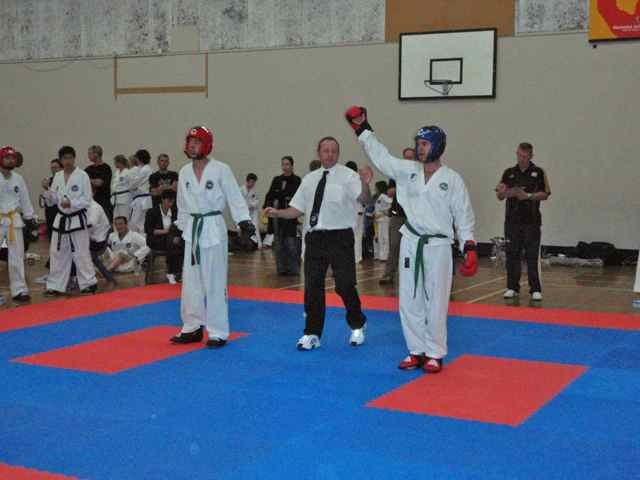 Tournaments are run with qualified officials and have competitors matched by gender, age, rank and weight. There are a range of tournaments that cover all ranks and experience levels from peewee (under 9 years old), to an Under 18 series, through to regional, and club events. 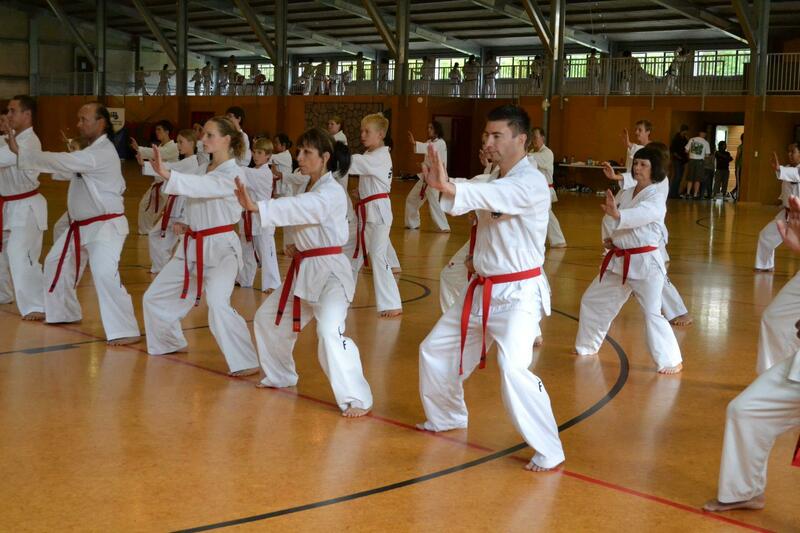 The pinnacle event in New Zealand is the annual National Tournament. This event attracts over 300 competitors, coaches and officials from around the country. It is open to yellow belt and above. 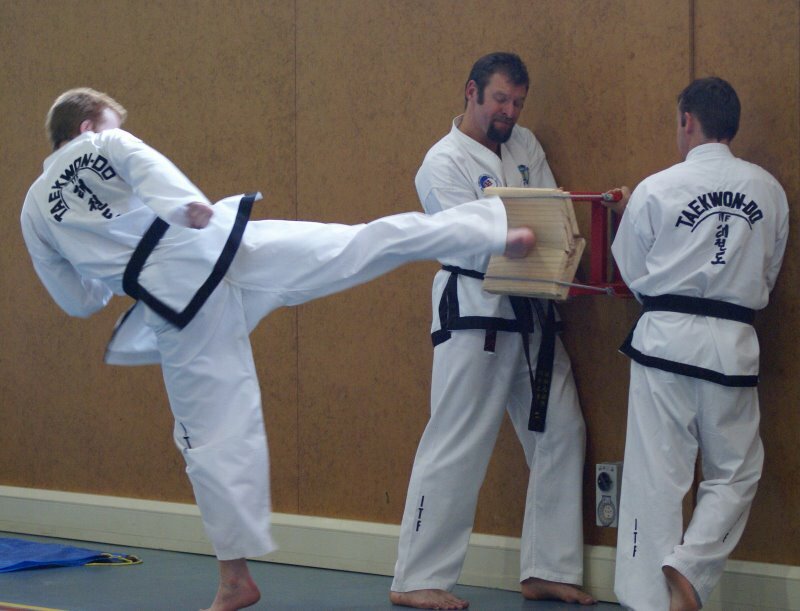 Taekwon-Do was designed for self defence, and there is a strong emphasis on the moral aspects of the art, such as discipline, humility and self control. These non-physical aspects are known as the “Do”. 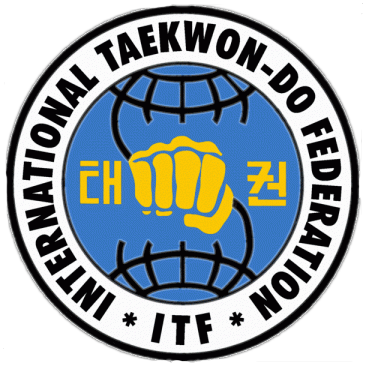 Members of International Taekwon-Do are taught aspects of “Do” as a part of the grading syllabus and are encouraged to live by the tenets of Taekwon-Do, which are: Courtesy, Integrity, Perseverance, Self Control and Indomitable Spirit. 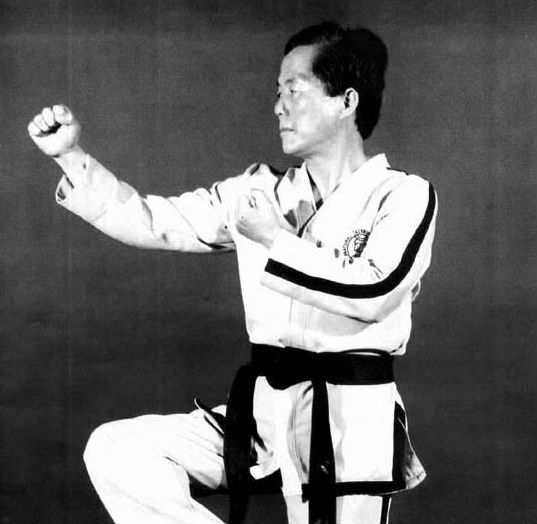 Good social etiquette and respect for others is an important part in learning Taekwon-Do. 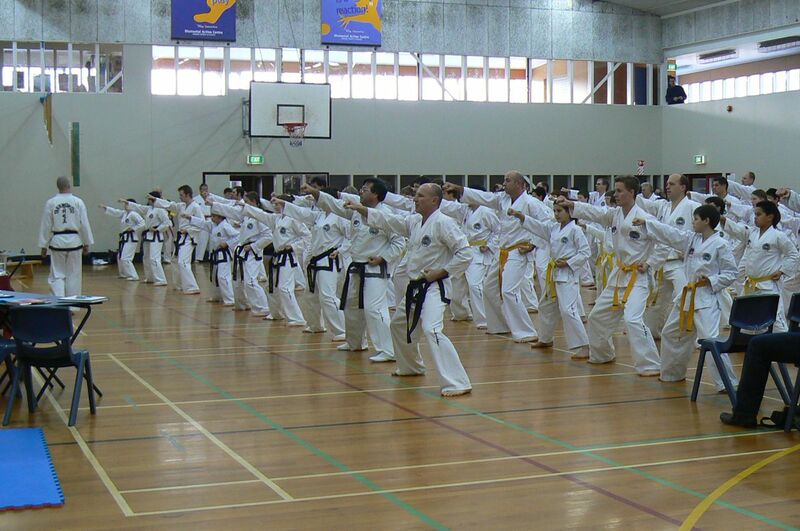 As well as tournaments, the regional and national body regularly host training camps and seminars with Senior and Master Instructors from overseas and around the country. This is a great opportunity to mingle with other Taekwon-Do practitioners and gain further knowledge. Chon-Ji means literally "the Heaven the Earth". It is, in the Orient, interpreted as the creation of the world or the beginning of human history, therefore, it is the initial pattern played by the beginner. Do-San is the pseudonym of the patriot Ahn Chang-Ho (1876-1938) who devoted his entire life furthering the education of Korea and its Independence movement. Won Hyo was the noted monk who introduced Buddhism to the Silla Dynasty of Korea in the year 686 AD. Yul Gok is the pseudonym of the great philospher and teacher Yi I (1536 to 1584). He was nicknamed the Confucius of Korea. The 38 movements of this pattern refer to his birthplace on the 38th degree latitude and the diagram represents Scholar. Toi-Gye is the pen name of the noted scholar Yi Hwang (16th century), an authority on neo Confucianism. The 37 movements of the pattern refer to his birthplace on 37 latitude, the diagram represents "scholar"